Why should Instagram have all the fun when it comes to cool camera updates? Its parent company (Facebook) also has a dedicated tech savvy fanbase, which enjoys uploading photos/videos and trying new camera features and filters. So, it is important for Facebook to focus on improving these features in order to stay relevant in today’s age. Looks like Facebook realized this before all of us as it is reportedly testing out a new camera feature. App researcher, Jane Manchun Wong recently posted a tweet, according to which Facebook is working on Photo Stickers for its Camera. 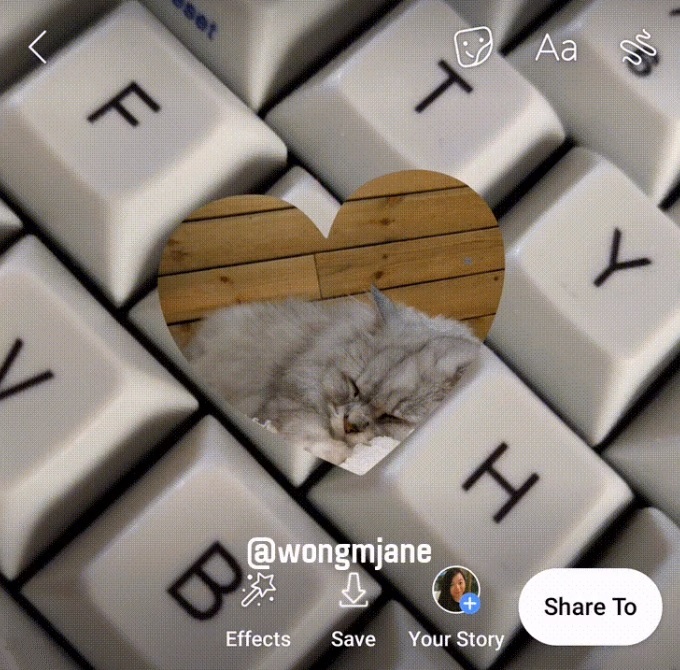 Wong also attached a GIF along with her tweet, which gave us a sneak peek at the new feature. So, you will be allowed to access Camera and choose any photo from the Gallery. Once you have selected a photo, you will be able to reshape it into different kinds of stickers, from circular to heart-shaped and others. It remains yet to be seen when Facebook plans on rolling out this feature, and whether it will be exactly the same as it looked in the GIF or will it be equipped with extra functionalities. However, the concept is quite interesting and will definitely catch the attention of users. Read next: Facebook Finally Admits that it Generates Revenue by Using Consumers' Data!